Believe it or not, last week was the final week in the regular season for both Florida and South Carolina. The rest of the South still has a few weeks to go before playoff time hits. Even though we are at the back end of the season, there are great games and performances all around. Creekview (Ga.) attackman Pierce Quarles has been helping lead his team to a 10-3 record thus far. The junior has tallied 92 points (62 goals, 30 assists) thus far. He helped his team to a 16-11 win over North Forsyth (Ga.) last week. Against North Forsyth, Quarles tallied nine points (six goals, three assists) to help lead his team to victory. It was his second game in a row that he put up nine points. Quarles has a career high of 13 points which he reached against Walker (Ga.) in early March. The storyline of the week was all about big games. In Tennessee and Florida, the top two teams in the state went head to head last week. In Tennessee, Montgomery Bell (Tenn.) squared off against Memphis University (Tenn.). Both teams came in regarded as the two best teams in the state. In a surprising result, Montgomery Bell shutout Memphis University 12-0. In each team’s regular-season finale, Ponte Vedra (Fla.) and Oxbridge Academy (Fla.) faced each other in a matchup featuring Florida state powers. Ponte Vedra walked away with the 11-9 win to give them a lot of momentum going into the playoffs. 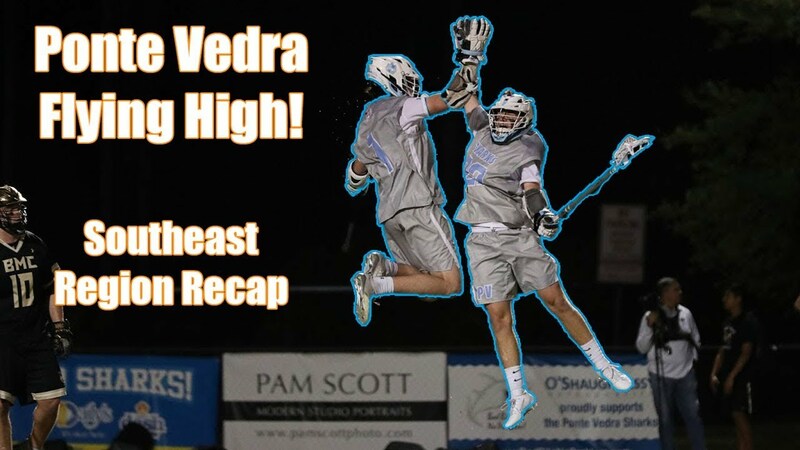 Freddie Amato led Ponte Vedra with five goals, while Cam Welch scored three. Jimmy Burns won 14-of-21 faceoffs, and goalie Nolan Parlette made 13 saves. With five goals and one assist in a 13-10 win over West Chester East (Pa.), Jake Caputo scored the 300th point of his Middle Creek (N.C.) high school career. The Duke commit is coming off a 95-point junior season and is averaging almost five points per game this season. Caputo's performance came in the same week as faceoff man Graham Schwartz was breaking the North Carolina record for most faceoff wins in a career. Middle Creek is 13-2 this season. Fredrick Douglass (Ky.) went up against defending KLA state champion Lexington Catholic (Ky.) and pulled off the upset 7-6. In just their second year as a school, its the biggest win in program history for the Broncos. Oceanside Collegiate Academy (S.C.) ended its regular season with a 12-9 win over Porter-Gaud (S.C.). This win came after taking two losses to out-of-state opponents. The Landsharks finished the regular season with an 8-6 record overall and a 3-0 record in their region. The Landsharks shocked everyone last year when they ended up winning the SCHSL 4A championship. This year they enter the SCHSL 4A playoffs as a No. 3 seed and will play the winner of Hilton Head (S.C,) and May River (S.C.) in the second round. As Plant (Fla.) defeated Riverview Sarasota (Fla.) 10-8 in their regular season finale, Plant goalie Wyatt Knust made 17 saves to help lead the Panthers to victory. Plant ends the regular season 10-5 after the win. In Florida, the FHSAA playoffs start this week with District tournaments getting underway Tuesday. In South Carolina, the SCHSL 4A and 5A playoffs start Tuesday. Tanner is the founder and director of LacrosseBucket.com. A native of Louisville, Ky. and graduate of Trinity High School, Tanner has been involved in the game of lacrosse for nearly a decade.